TD Bank’s ‘TD Canada’ Android and iOS apps are the most popular retail banking app in Canada, according to recent ComScore and App Annie reports. 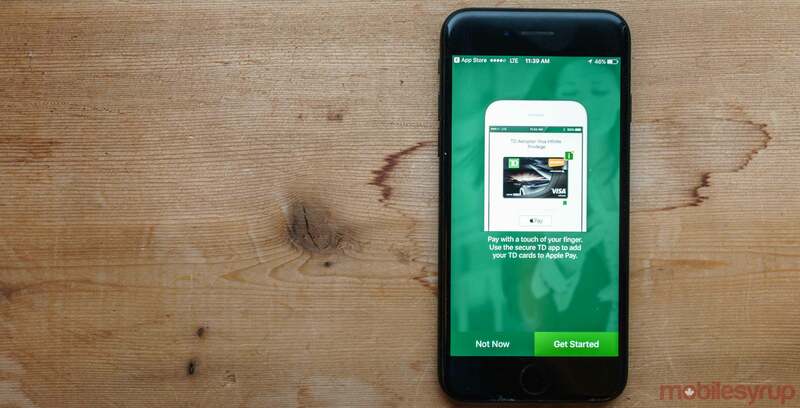 Between Canada’s five largest banks — TD Bank, RBC, CIBC, Scotiabank and the Bank of Montreal — TD’s app had approximately 7.5 million unique visitors in Q3 2018. According to App Annie, TD Bank’s mobile apps had the highest average sessions per user of all of Canada’s retail banks, as well as the highest average review score of all five major banks. Interesting to note is that Canadians spent approximately 13 million hours in all five major banking apps during the first half of 2018. App Annie reported that Canadians increased their time spent in the top five retail banking apps by 65 percent between the first half of 2016 and the first half of 2018. Additionally, finance app downloads in both iOS and Google play increased by 35 percent between the first half of 2016 and the first half of 2018.